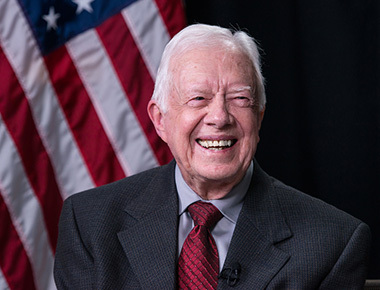 In this video, Jimmy Carter reads his book “The Little Baby Snoogle-Fleejer” to a small group of children. The video is part of a series where celebrities and dignitaries read children’s books to young students in an effort to promote and encourage literacy through Georgia Read More, a program aimed at 3rd graders. The series was developed in collaboration with the Georgia Department of Education.